The need to control history is never considered trivial and it never goes away. 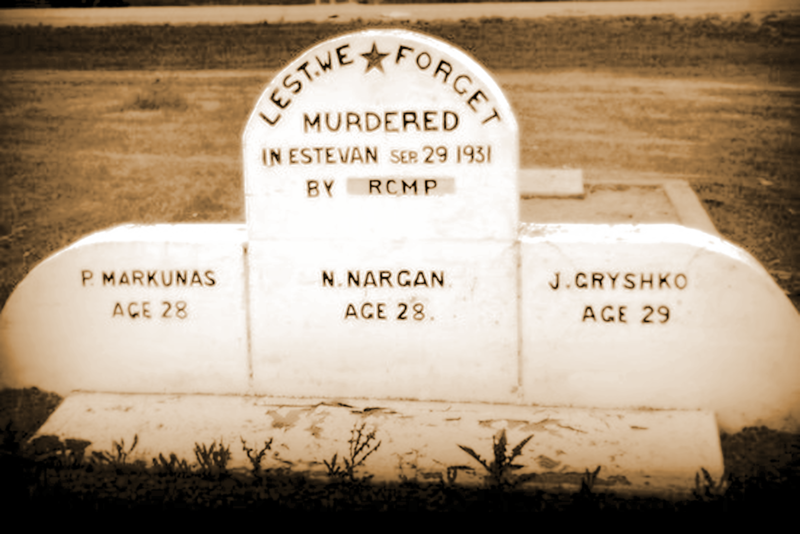 The phase, murdered by the RCMP, has been removed and replaced several times in the years since 1931. Each side determined to have their version of history be the one carved in stone. Who decides what gets taught in school is always controversial. Right now the new Ford government in Ontario has plans to revert to the sexual education curriculum used in 1998—a program of study that omits discussion of consent and LGBT issues. Many object to Ford’s plan. The Ontario Teachers’ Union plans to challenge it in court. Students themselves are also speaking out, arranging province-wide walks out in protest of the outdated curriculum with support from their parents and teachers. In Saskatchewan, in 1933, it was the desire to teach the socialist values of cooperation that caused concern. Critics said such a program would introduce politics into the classroom. The CCFcountered with the argument that politics already existed in the classroom in the form of procapitalist history and economics. The CCF came to power in Saskatchewan 1944. The plan to teach socialist values in the schools to counter capitalism had not been part of their campaign. The teaching of labour history and workers’ rights in our schools has been a black hole for decades. High schools do a once-over-lightly of unions and safety rules in the career studies and social sciences programs. But most courses that aim to prepare students for the future are very business-orientated as opposed to rights-orientated. The need and desire to change this reality is persistent. Yet it is still pretty much left up to individual teachers to find ways to bring that history into the classroom. Teachers unions often supply teaching aids on the issue. For example, Youth, Unions, and YOU: A Secondary Teacher’s Guide to Labour Studies for B.C. Schools is a joint project of the B.C. Teachers’ Federation and the B.C. Federation of Labour. “Hardball and Handshakes,” developed by the American Labor Studies Center and the Baseball Hall of Fame, uses the history of professional baseball to examine the relationship between employer and employee. The unit focuses on collective bargaining and is geared toward high school and college students. 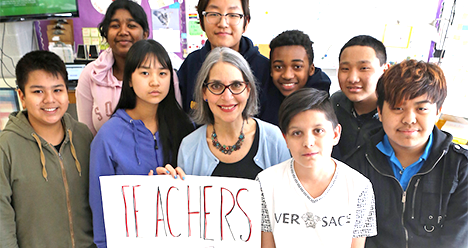 The California Federation of Teachers’ Labor in the Schools Committee maintains a website, which features curricula and educational activities for elementary through high school students. Lesson plans, biographies of union leaders, and photographs of children at work reflect the long struggle by unions to improve the lives of working people. Despite the lack of comprehensive labour studies material in the current curriculum, teachers can still find creative ways to introduce the concept of workers’ rights to their students. 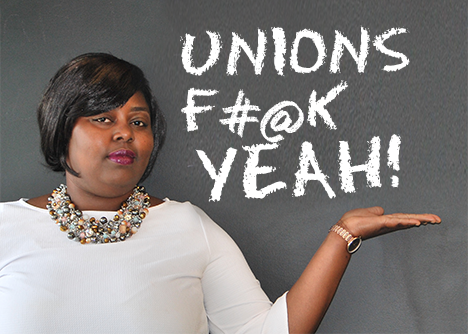 Last spring, for instance, Toronto teacher Hayley Mezei wrote a piece for the Elementary Teacher’s Federation of Ontario’s online magazine VOICE about the ways that she brings lessons about labour laws into her classroom. One of the ways she did this was by talking to her 8th grade Language Class about Ontario Bill 148 or the Fair Workplaces, Better Jobs Act 2017, which passed last November. The bill insured significant improvements for approximately 1.7 million workers in Ontario earning less than $15 an hour. Mezei explained in her article that many students in her school are new Canadians who are trying to find their way in this country. She believed talking about the bill to her class would be something positive for her students and their families—even though it was not a part of the grade eight official curriculum. Official classroom courses on these topics would be ideal, but until then, it’s important to encourage teachers to follow in the footsteps of Hazel Mezei and others currently leading the charge by bringing these topics to their students as relevant, everyday life lessons.